There are only about 2 weeks left until the beginning of an European tour « the RAMPAGE tour » of the two Visual Kei bands : BORN and Lycaon. On 9th September both bands will do their best on their show in Wroclaw, in Firlej club ! It will ve defenitely one of the hottest nights this year. Are you ready? Before you go on this event – aren’t you maybe curious about what both bands said about Poland and what kind of messages they have for their Polish fans? We encourage you to read our interview with them! Special thanks to B7Klan for making it possible. 1. With what do you associate Poland? Vo. Yuuki: As for me it is full of mystery. Because I have never been there. Gt. Satoshi: Cities are beautiful. Ba. Hiyuu: I have heard that streets of Warsaw are beautiful! 2. What is the main theme of your new outfits? 3. What do you like the most in your stylizations? Is there any element of it you could not go without? Vo. Yuuki: No division into men or women things. I wear everything what is above it. Gt. Zero: I am filled with【black】. Ba. Hiyuu: No matter what I wear I will be myself. Dr. Ichirou: I like those costumes which emphasize the silhouette. 4. Which other cities (beside the European tour ones) would you like to visit? 5. Which words do you associate with the word “Europe”? Vo. 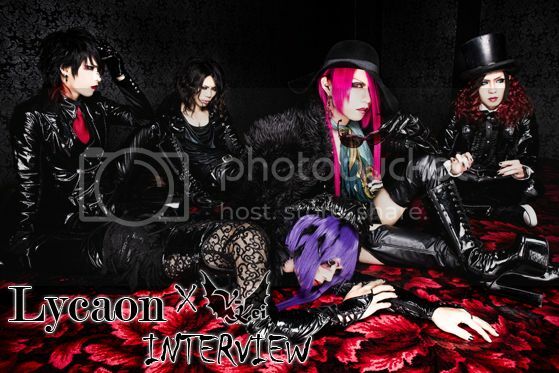 Yuuki: It is easy to feel their music. They have a sense of unity. Ba. Hiyuu: The more you watch and listen to them, the more you get caught up in them. Dr. Ichirou: Melody you want to sing. 7. At the end, we would like to ask you to leave some message to your Polish fans! Vo. Yuuki: Just wait, I will train you. Gt. Satoshi: I impatiently wait for the Polish night. Ba. Hiyuu: Let’s make it a hot night. Dr. Ichirou: I will do my best to meet the expectations of all of you. © 2016 V-Kei. All rights reserverd.